Bringing you a better return, a better product, a better feeling; never resting on our laurels or growing content with our present status. These words describe why we are always looking at what's new. To answer the question: How can we do better? I'll add one more: Never, ever accepting someone's comment "you can't do that". the restoration s tation is constantly researching, studying and evaluating new technological achievements in the industry so as to determine - with an educated mind - what will and will not blend with the classics of yesterday in a positive manner. 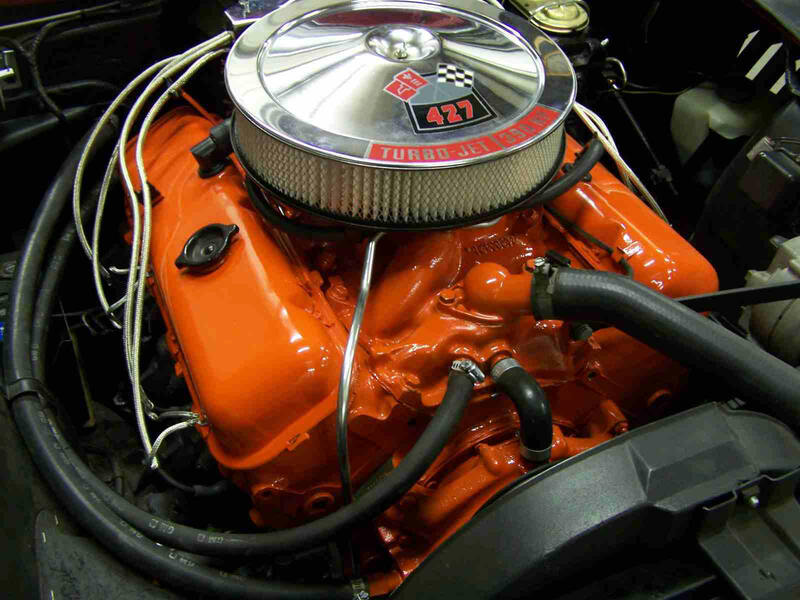 Both of these engines look like very nicely restored, stock Corvette engines - until you look inside. Totally non-detectible from the outside is the fact that these engines have today's full-roller technology incorporated into them. No more flat tappets and rocker balls grinding metal to metal, but rollers gliding along without heat or friction. "Mouseover" these pictures to get a peek at what's inside, then go to the ENGINES page for more details on how we do it.